Raven is one of the most important beings in Northwest Coast art and mythology, although the nature of his role varies from one culture to the next, and his predominance diminishes from north to south. 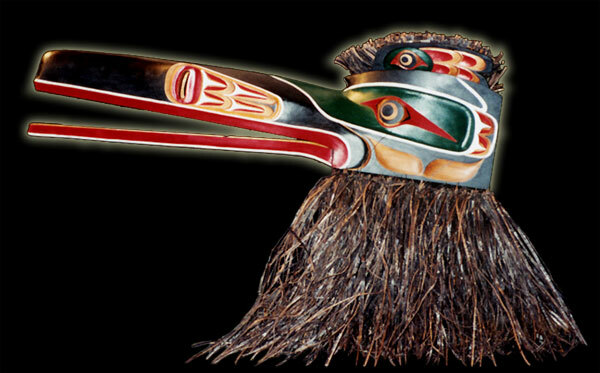 Raven is the original organizer, Trickster, transformer, teacher, catalyst and chief spirit. He is also a relentless schemer and proactical joker, lustful impulsive, cunning, shameless and without remorse. Length - 48 " I Width - 10 " I Depth - 26 "